2002 flooding response, Roseau County Historical Society. Former Executive Director, Charleen Haugen. MayDay continues--what is your organization doing for emergency preparedness? 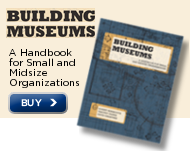 Join museums around the country in setting aside time in the month of May to do at least one thing to improve your museum's disaster preparedness. Society of American Archivists has a list of suggestions on their website, as does Heritage Preservation's Heritage Emergency National Task Force. MHCHG offers a "Develop a Disaster Plan" structured grant option to encourage small organizations to prepare disaster plans for their collections and museums so they will be equipped to respond in an organized and productive manner in the event of an emergency or disaster. During 2012-13, the Institute for Advanced Study (lAS) at the University of Minnesota carried out an oral history project focusing on small-scale food initiatives in southwest Minnesota. During eleven research trips in that area, twenty interviews were taped with articulate participants in the Minnesota food system who are outside of large-scale, mainstream agriculture. How did your organization commemorate Minnesota Statehood Day on May 11? Can your organization be a refuge for those seeking quiet spaces? Oral History Association responds to Boston College's Belfast Project. Disability awareness training from Art Beyond Sight. Philadelphia History Museum at the Atwater Kent, Philadelphia PA, seeks Director of Education and Public Engagement. Deadline: May 31, 2014. New Jersey State Museum, Trenton NJ, seeks Museum Registrar, Cultural History. Email cover letter and resume to Nicholas Ciotola. Deadline: June 6, 2014. Oberlin Heritage Center, Oberlin OH, seeks Collections Manager. Deadline: June 20, 2014. National Trust for Historic Preservation, Washington D.C., seeks Vice President of Historic Sites. Goodwill Computer Museum, Austin TX, seeks Museum Curator. Veterans' Memorial Hall, Duluth MN, will host an exclusive display of a large Charles Kapsner military mural. The mural is part of the Veterans Educational Historic Project, sponsored by the Minnesota State Veterans Cemetery Memorial Association, and will be on view May 15-19, 2014 at the St. Louis County Heritage & Arts Center. Call 218-733-7500 for more information. Cannon Valley Civil War Roundtable meets Thursday May 15, 2014, 7 p.m., Faribault Senior Center, Faribault MN. Guest speaker Brandon Peeters will speak on the Battle of Shiloh. Contact Dan Peterson, 507-459-3140, for more information. Nicollet County Historical Society, St. Peter MN, announces their annual Cox House Plant Sale, Saturday May 17, 2014, 8 a.m. to 2 p.m. at the E. St. Julien Cox House. Contact NCHS, 507-934-2160, for more informtion. Hamline Midway History Corps, St. Paul MN, meets Saturday May 17, 2014, 2-4 p.m., Ginkgo Coffeehouse. The St. Croix Base Ball Club (Washington County Historical Society), Stillwater MN, will take on the Afton Red Socks (Afton Historical Society), Afton MN, Sunday May 18, 2014, 2 p.m., Pettit Park, Lake St. Croix Beach MN. Call 651-439-5956 for more information. Landmark Center, St. Paul MN, hosts Urban Expedition: Journey to Brazil, Sunday May 18, 2014, 1-3 p.m. Call 651-292-3063 for more information. Wright County Historical Society, Buffalo MN, welcomes Stew Thornley, Minnesota Twins and Minnesota Timberwolves official scorer and author of more than 40 books, who will read from his new book "Minnesota Twins Baseball: Hardball History on the Prairie," Tuesday May 20, 2014, 6-7:30 p.m. Call 763-682-7323 for more information. Minnesota Air National Guard Colonel Loren Hubert will present "From the Militia to the National Guard: 377 Years in Defense of our Nation," Wednesday May 21, 2014, 6:30 p.m., Golden Vally City Council Chambers. Scott County Historical Society, Shakopee MN, announces the opening of "Watergate: The Scandal that Rocked the Nation," Thursday May 22, 2014, 7-8:30 p.m. Call 952-445-0378 for more information. Nicollet County Historical Society, St. Peter MN, announces a program and battlefield tour at Fort Ridgely, Fairfax MN, "Causes of the U.S.-Dakota War and Battlefield Tour," May 24, 2014, 1 p.m. Call 507-766-0994 for more information. LeDuc Historic Estate, Hastings MN, hosts their first Rhubarb Festival, Saturday May 24, 2014, 10 a.m. to 2 p.m. Call 651-437-7055 for more information. Sherburne History Center, Becker MN, invites the public to a program on family history research, led by Executive Director Mike Brubaker, Saturday May 24, 2014, 10:30 a.m. to noon. Call 763-261-4433 or 763-262-4433 (metro) for more information. Harkin Store, New Ulm MN, announces "Music for all Ages," Sunday May 25, 2014, 1-4 p.m. Musician Bill Cagley leads the program. Call 507-354-8666 or Nicollet County Historical Society, 507-934-2160. Wright County Historical Society, Buffalo MN, hosts Fred Budde, who will speak on the evolution of baseball gloves, 1890-1990, Tuesday May 27, 2014, 6:30-7:45 p.m. Call 763-682-7323 for more information. Steele County Historical Society, Owatonna MN, hosts JoAnn Magnuson, who will lecture on "Escaping Europe Only to Arrive in Minnesota," a discussion of Jewish-Christian relations, Thursday May 29, 2014, 7 p.m. Call 507-451-1420 for more information. Carver County Historical Society, Waconia MN, announces that they will host the traveling children's literacy exhibit "Storyland: A Trip Through Childhood Favorites" June 7-September 20, 2014. The deadline for nominations to the 2014 Minnesota Preservation Awards, run by the Preservation Alliance of Minnesota, is Friday May 16, 2014, 4:30 p.m. Get your nominations in now! Honorees will be recognized at the Minnesota Preservation Awards Gala, September 25, 2014. St. Louis County Historical Society, Duluth MN, announces that the exhibit "Old Country Memories," art by Albin Zaverl of Virginia MN, has opened at the Embassy of Slovenia, Washington D.C. The exhibit is on display now through June 20, 2014. Call Tom Sersha, 218-780-2847, for more information. Scott County Historical Society, Shakopee MN, announces that they have completed an oral history project on Scott County residents from the 1930s to the 1950s. Listen to audio samples online. Carver County Historical Society, Waconia MN, has a traveling exhibit available. The exhibit, "Los manos invisibles que nos alimentan/The Invisible Hands That Feed Us," focuses on the history of agricultural migrant labor in Carver County, and includes Spanish and English labels. Contact Eve Weipert, 952-442-4234, for more information. Minnesota Council of Nonprofits seeks nominations for individuals to represent their communities and serve on the MCN board of directors. Deadline for nominations: July 30, 2014. Minnesota State Arts Board announces that the FY 2015 Arts Tour Minnesota grant program is now open for application. Deadline: Friday July 25, 2014, 4:30 p.m. The History Center of Olmsted County, Rochester MN, has a new Executive Director. Lisa Baldus stepped into the position in February 2014. Welcome to Minnesota's history community!